Who doesn’t LOVE hot chocolate, right? Especially this time of year! 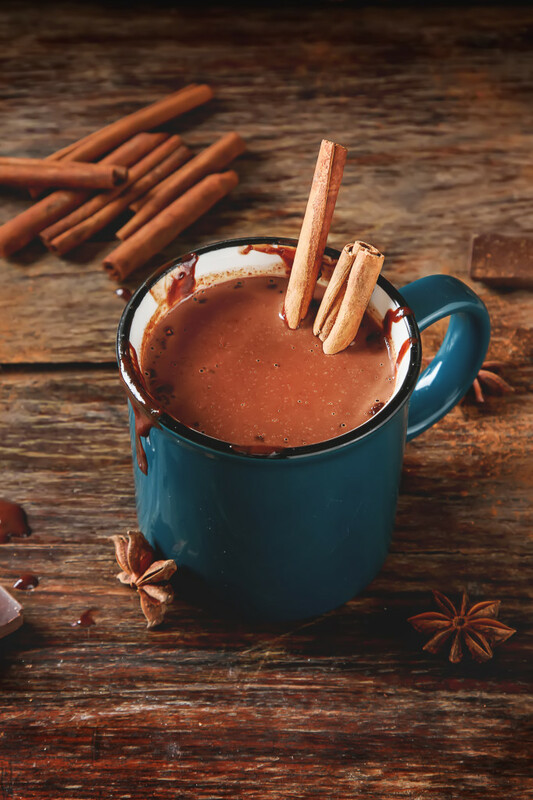 There’s nothing like sipping on a mug of chocolaty warm goodness on a rainy fall day like we’ve had today. I’m not a coffee drinker myself, but give me some delicious hot cocoa and I’m a happy camper! 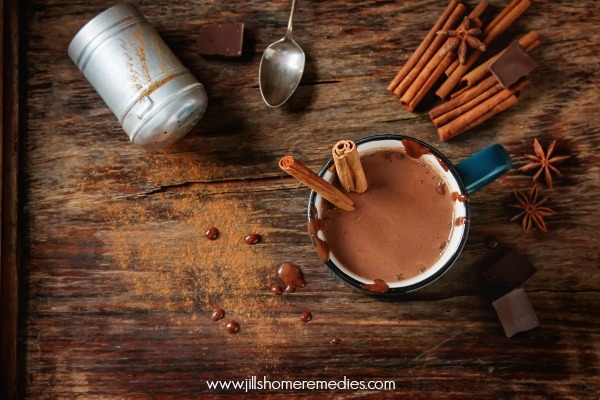 I’m all about making hot chocolate from scratch (instead of the packets – delicious but not generally the healthiest), and I love using raw honey instead of sugar, but how about adding some herbs to make it even healthier while we’re at it? I am always up for discovering ways to add herbs into foods and drinks I make. We can always use the nutritional boost! Dandelion root is used by some as a coffee substitute. I think it’s plain delicious to add it to hot chocolate! 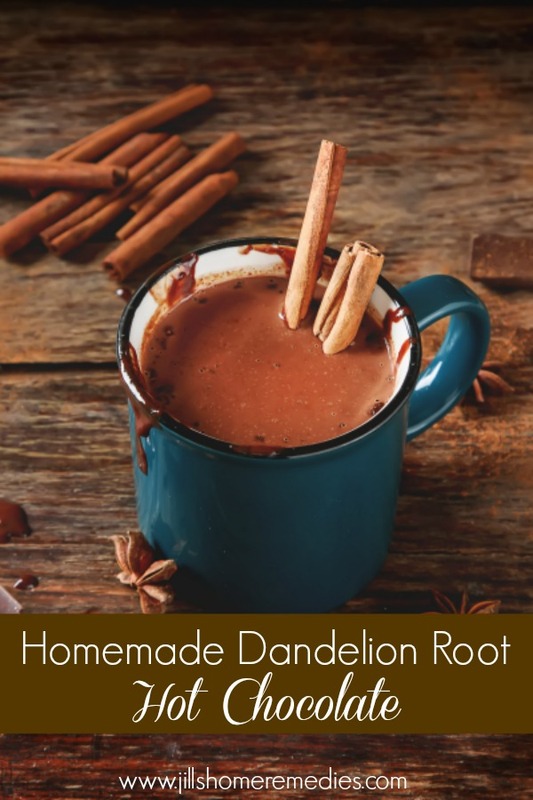 Dandelion root itself yields a bitter taste, but add some cocoa, raw honey, and milk, and you’ve got yourself something delicious and nutritious to sip on! So on to our recipe now! Bring water and dandelion root to a boil. 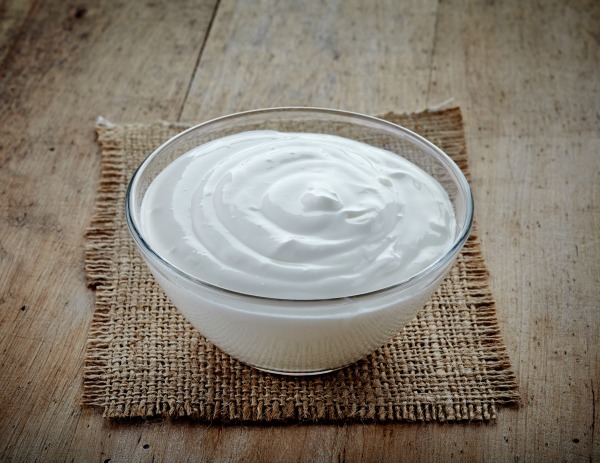 Place 1 cup heavy whipping cream in a quart mason jar. Shake jar for several minutes until mixture thickens. Reduce heat and simmer for about 20 minutes. Place all ingredients in a quart mason jar. Shake the jar for several minutes until the mixture thickens as desired. Don't shake the jar too long or it will turn into butter! Do you use dandelion root in your diet? Share it with us in the comments below! Thank you for this recipe. Can dandelion leaf be used in place of dandelion root? Would the amount be the same? You’re welcome, Kim! You can definitely use dandelion leaf. However, you would be steeping the leaves instead of simmering. Be sure not to simmer the leaves as they are too delicate and nutritional properties would be killed. Since you wouldn’t be simmering and reducing the liquid, you would either have to add more milk, honey, cocoa, and spices to taste, or you could try reducing the liquid. I would try bringing 3 cups of water to a boil, remove from heat, add 6 teaspoons of dandelion leaf, cover and steep for about 15 minutes. Then discard the leaves and add the rest of the ingredients in the recipe. I have no idea if these are the correct proportions as I have not tried this, so experiment and have fun making nutritious cocoa! My daughter said this was really good and I agree with her. I thought 7 tablespoons of raw honey would be too sweet for me so I used 4 tablespoons. I also strained the dandelion roots, wasn’t sure if I should have left them in. Thanks for sharing this recipe.